Today on WinterHaven Books we have the wonderful Stephanie Powell with us! I just recently read her novel Pink and really enjoyed it so I am beyond thrilled to have her with us! 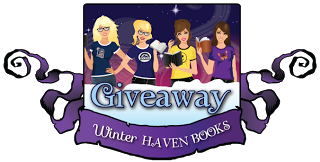 Stephanie has graciously answered some of my questions, given me a very awesome excerpt to share, AND is providing a giveaway to one lucky reader!! Woohoo!! 1. I really enjoyed the world that you built in Pink. How did you come up with the idea? I've always liked "what if" science fiction. And I'm fascinated with the ways in which men and women are both alike and different. So the idea for Pink is really a combination of those two things. The question "what if the world were only women?" struck me as intriguing. Since Pink is Cassie's coming-of age-story, I wanted to create a major roadblock for her in finding true love—and what bigger roadblock could there be than living in a world where a plague has wiped out every male on the planet! I'm also a sucker for a story that takes the main character on an epic journey. Cassie takes such a quest, finding the two boys who have survived the plague in very different ways. She then discovers that one of the boys is the key to returning the world to normal. 2. What was you favorite scene to write? I think I know, but what was your toughest scene to write? My favorite scene to write was the love scene at the end between Cassie and Sam. Cassie's world is crashing down around her—emotionally she is at her lowest low. Yet she experiences physical intimacy for the first time surrounded by the splendor of blossoming cherry trees. The contrast of Cassie's trauma with the romantic setting made the scene a lot of fun to write! The toughest scene to write was the ending (but not the epilogue), mostly because I had to figure out details with only having a basic idea of the next two books. One of the most enjoyable parts of writing is that the story can take you anywhere—you are only limited by your imagination. That said, the endless options are also the tough part—with so many directions to go in, it's hard to know which one is the best! 3. Did you always know where the story would go or did it change the closer you got to the ending? I always had a basic idea of the story, but as the saying goes, the devil is in the details . . . and it seemed like those devilish details kept changing at a moment's notice! Creating a story is a strange combination of lead and follow--I wouId write parts, (or maybe struggle with is more like it!) and then parts would seem to write themselves—I only had to listen to what the characters were telling me. I also discovered that plotting a single story over three books is quite a challenge! My undying admiration goes out to all those young adult authors who have nailed the multi-book format. Pink did go through many changes—the story line of Brandon, the villain, changed completely, the ending had to be tweaked for clarification, and for a while, the title seemed to change every week—but the basic idea of Cassie finding and falling in love with a special boy in a world of women was there from the beginning. 4. The ending was a HUGE bomb drop! What can you tell us about the sequel? The second book in the Pink trilogy is called Puzzle and will be available on Amazon no later than May 2014. You can go to my website—www.stephaniepowellbooks.com—to get updates on when it will be out. It's hard to talk about Puzzle without spoilers; having said that, I will say that the second book is about Cassie's search for someone who has become very important to her. In that search, she journeys to a world she didn't know existed. My advice is simple—write! Everyday if you can. Write the story you want to read. Give yourself permission to enjoy your own writing, to use it as a way to explore yourself and the world around you. And write until the rules of grammar and syntax become embedded in your brain. Then there's the flip side: read! Try out all kinds of genres, even the ones you think you don't like. Figure out why you enjoy a certain author or kind of book—and then figure out why you don't like other stories or writers. Read to learn, to grow, to be inspired, to be challenged—and of course, to enjoy the incredible diversity of stories and voices at our fingertips. Thanks Stephanie! I adore your answers and I can't wait to dive into Puzzle!! Excerpt Time!! I love this scene! Sam leaned in and kissed her. He drew her towards him, his breath starting to deepen. Cassie let herself become lost in the caress. She slid one hand around Sam’s neck, the other under his shirt, feeling the smooth nap of his skin. Cassie broke away to see Sam’s puzzled face. She stood up and, taking him by the hand, led him to a secluded spot under a stand of cherry trees. Scattered pink petals blurred the distinction between ground and sky. Cassie stretched out beneath the spreading canopy, pulling Sam down with her. The more she kissed him, the more she felt her anguish fade until all she knew was the touch of his hand, the softness of his lips, the weight of his body. After a long kiss, Sam pulled away. “I don’t know what to do,” he whispered. Stephanie Powell lives in Austin, Texas with her engineer/musician husband (a modern-day renaissance man), her two darling children (yes, grown kids can still be darling!) and her Master’s in Film (a degree for watching movies . . . what’s not to like!) Her day gig is as a sign language interpreter; in her free time, she likes to walk the neighborhood, have lunch with friends, and indulge in her obsession with crafting. Pink is her first young adult novel. She wrote the non-fiction book Hit Me With Music: How to Start, Manage, Record, and Perform With Your Own Rock Band which starts out with a forward by (attention: name-drop alert) Steven Tyler of Aerosmith. 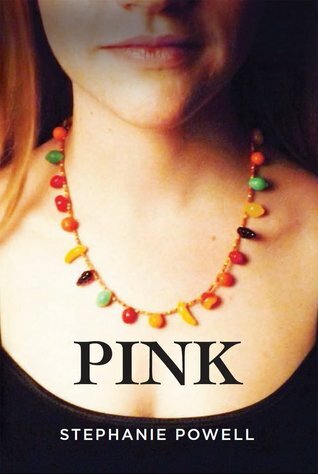 Stephanie is offering one lucky reader their very own copy of Pink! The winner can choose either an ecopy from Amazon or a print copy. All you have to do is fill out the Rafflecopter form below! Good luck! Click on the cover to be redirected to Goodreads. Congrats to Stephanie on the new release! It sounds awesome :) I love the idea of a female centric world. Thanks for sharing! This sounds like an original concept and love the idea of a plague that takes out the men. Great excerpt too! Thanks!